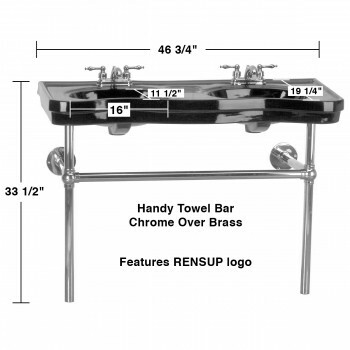 Double Bathroom Sinks: Belle Epoque Double Deluxe is the perfect sink for any master bath-a double wide console sink for two! 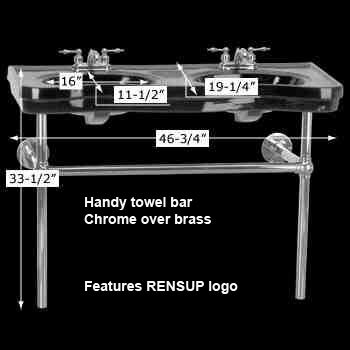 Renovator's Supply's Belle Epoque Double Deluxe is constructed of grade A vitreous china, has an elegant chrome-plated Bistro frame, self-draining soap dishes and of course HIS and HER basins. Takes two 4 in. centerset faucets, not included. Measures 33 1/2 in. H x 46 3/4 in. W.